Do you sometimes miss important IAP news? And do you know if you have? A couple of years ago, Council member Andrew McKay, FIAP set up the IAP Group on LinkedIn. It’s probably fair to say that we have been surprised by its success. With very little publicity, the group has attracted over 120 members. As group members will know, we’ve already used it to make people aware of posts on the Web site, employment opportunities, the publication of documents and so on. That’s fine for those who are members but, obviously, not for everyone else. There are many IAP members on LinkedIn who have yet to join the group and doubtless there are some members who have yet to join LinkedIn. 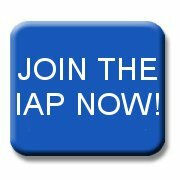 We’d encourage all IAP members to join us at the IAP Group so that everyone can have the advantages at present limited to a minority, albeit a large one. It’s easy to join. Simply click the link to LinkedIn on the right. If you’re a LinkedIn member, you’ll be invited to join the IAP group. Select the communications options you prefer. Please tick at least the Group Logo and Announcements boxes and preferably the Posts box. This will make it easier for us to let you know quickly about important changes, events and IAP news. Click on Join Group to generate a ‘Request to Join’, which we will action within 48 hours. If you have any problem joining, please email Robin Jones at eo@iap.org.uk. If you aren’t currently on LinkedIn, you’ll be invited to join. Having done so, you can join the group as above. Once you are an IAP Group member, clicking the link will take you directly to the Group.